Patrick Pivato, co-driver to François Duval, has undergone a series of successful operations in Sapporo, Japan to stem internal bleeding caused by an accident on stage 6 of Rally Japan last Friday and last night was brought out of his medically induced coma. The Frenchman awoke with a smile of recognition for his wife and brother-in-law who travelled to Japan last week to be by his side. He spent yesterday chatting with his family and Duval, who stayed out in Sapporo to be with his team-mate. Doctors in Higashi Tokushukai hospital are happy with his progress and the plan is to keep him under observation for the next 36 hours. After this observation period a decision will be made as to when he will return to France for a final operation on his fractured pelvis and broken right tibia. Doctors are confident he will be able to fly back on either Friday 7 or Saturday 8 November when he will be transported to a hospital in Lyon for the final operation. Malcolm Wilson, director of both the Stobart VK M-Sport Ford Rally Team, for whom Pivato was competing, and BP Ford Abu Dhabi World Rally Team, paid tribute to the 'magnificent support' from the WRC community following the accident when Duval's Focus RS World Rally Car hit a steel post supporting a roadside barrier. "The severity of this accident shocked me and there were times during last Friday night when we feared the worst. Thankfully Patrick is on the road to recovery. So on behalf of Stobart Motorsport, Ford Motor Company and his family and friends, now seems the right time to pass on my heartfelt thanks to everyone who gave their assistance during what was a difficult period," he said. "Unfortunately there are too many people to mention individually. But Rally Japan's medical staff and rescue teams at the scene of the accident did a really professional job in extricating Patrick from the car and transferring him to hospital in Sapporo. The skill of the doctors and surgeons there saved his life and for that we are truly grateful. "During the Friday night it became apparent that the lack of the rare A- blood in Sapporo could become a real concern during surgery. My thanks go to those people from teams, organisations and the media who responded to an SOS appeal to donate blood from that group during the night. Further volunteers came forward the following day to ensure medical staff had sufficient blood to ease their fears. "And my thanks must also go to fellow competitors who gave such valuable assistance at the accident scene. Particular praise should go to Denis Giraudet, a good friend of Patrick's. He took the decision to accompany Patrick to hospital in the ambulance and helicopter and remained with him until emergency surgery began. "He left to tackle the final two stages at Sapporo Dome before returning to the hospital, where he spent much of the night alerting colleagues by telephone of the need for blood. He remained in close contact with Patrick's wife, Agnes, before returning to the team's hotel and finalising her travel arrangements to Sapporo. He had little more than one hour's sleep before restarting the rally. 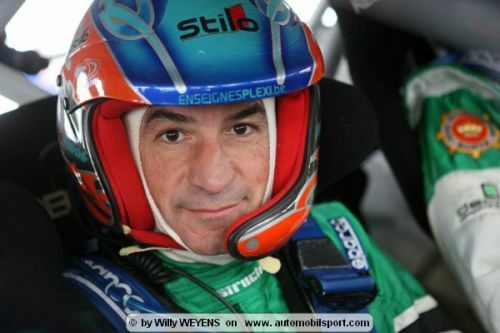 "I was genuinely moved by the wonderful spirit and camaraderie shown by the WRC community to one of its colleagues. On the special stages competition is rightfully fierce, but last weekend the 'family' nature of the WRC came to the fore when rivalries were thrown aside in the desire to help one of its own. "Once again my thanks go to everyone who helped, offered support or who has enquired as to Patrick's welfare and I'm looking forward to the day when we can welcome him back to a WRC event," said Wilson. No further comment will be made by the team at this time. Further updates will follow in due course.